Brooklyn Eats Caters a Party! When a friend asked me to cater her apartment warming party here in Brooklyn, I obviously jumped at the opportunity. 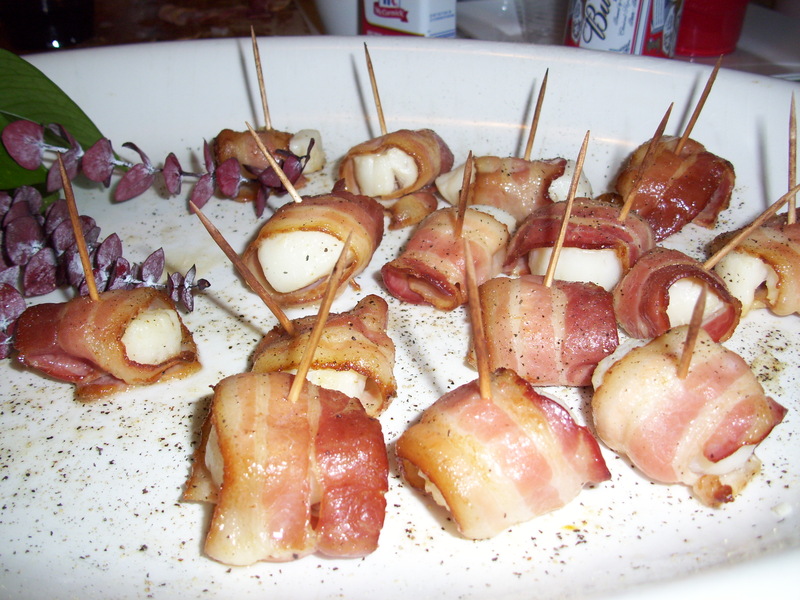 I worked to come up with a menu that incorporated vegetarian, pork, chicken and seafood hors d’oeuvres (to please the masses), but I also wanted to ensure the menu stayed within her budget. With all of that in mind, I came up with the following. From what I could tell, it was a successful night and I look forward to doing it again! 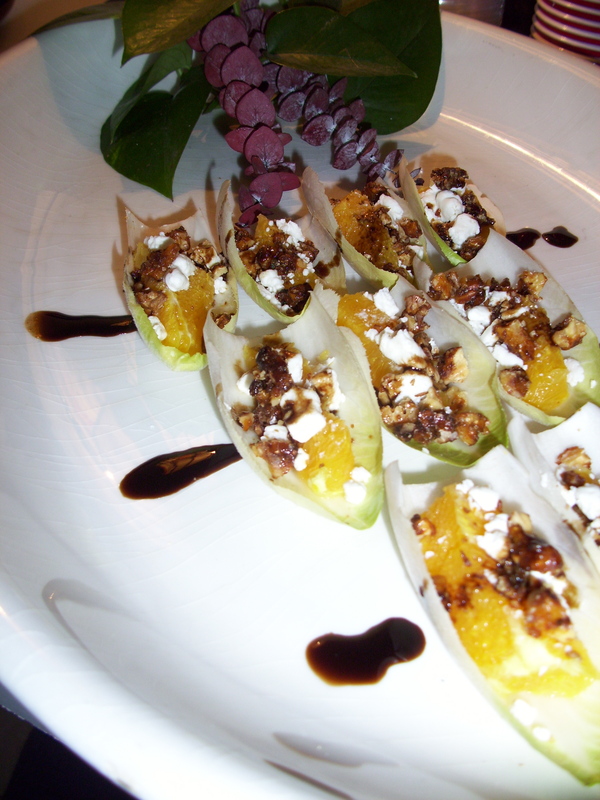 Citrus, goat cheese and candied walnuts served in endive leaves with a balsamic and honey reduction. This might look familiar. 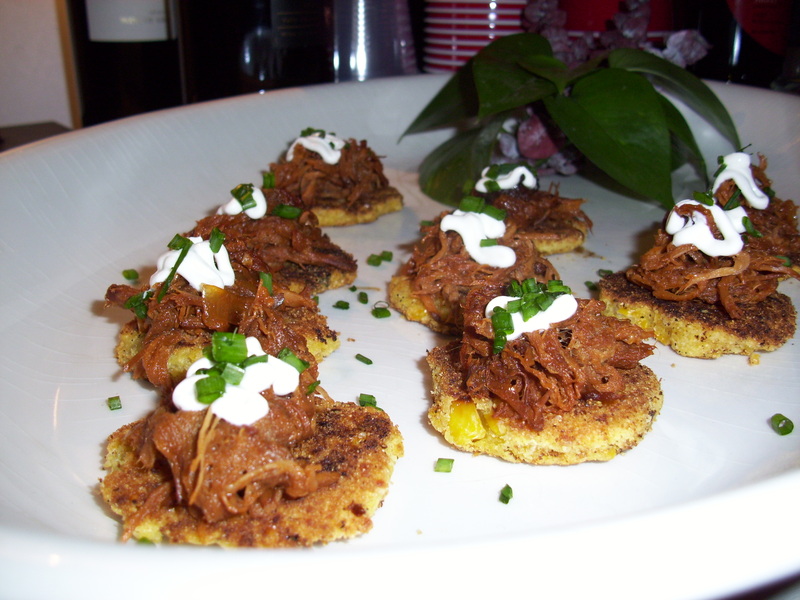 Pulled pork served on sweet corn tamale cakes with sour cream chives. 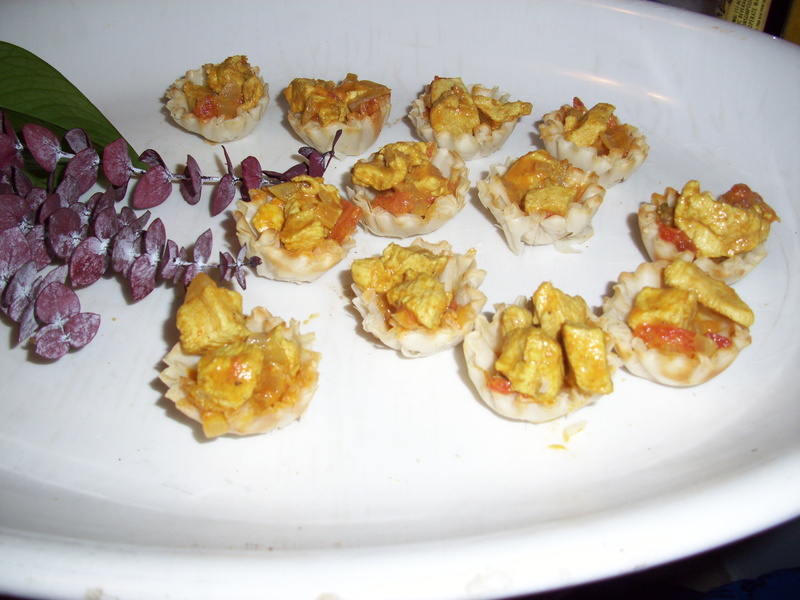 Coconut curry chicken served in phyllo shells. Emily may be a friend but that’s not why I asked her to do my party. She continually blows me away with her creativity and talent in the kitchen. My friends are still talking about the food at the party and people loved it so much that they were scraping leftover chicken curry filling into bowls and eating it like that. She really turned the party from something fun into something extraordinarily warm and memorable. Thanks Emily. i got down on this food, it was goddamn delicious.